Engineering is part of almost everything we do - from the water we drink and the food we eat, to the buildings we live in and the roads and railways we travel on. 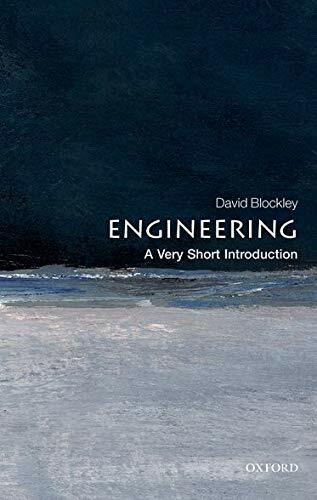 In this Very Short Introduction, David Blockley explores the nature and practice of engineering, its history, its scope, and its relationship with art, craft, science, and technology. He considers the role of engineering in the modern world, demonstrating its need to provide both practical and socially acceptable solutions, and explores how engineers use natural phenomena to embrace human needs. From its early roots starting with Archimedes to some of the great figures of engineering such as Brunel and Marconi, right up to the modern day, he also looks at some of its challenges - when things go wrong - such as at Chernobyl. Ultimately, he shows how engineering is intimately part of who and what we are. ABOUT THE SERIES: The Very Short Introductions series from Oxford University Press contains hundreds of titles in almost every subject area. These pocket-sized books are the perfect way to get ahead in a new subject quickly. Our expert authors combine facts, analysis, perspective, new ideas, and enthusiasm to make interesting and challenging topics highly readable.